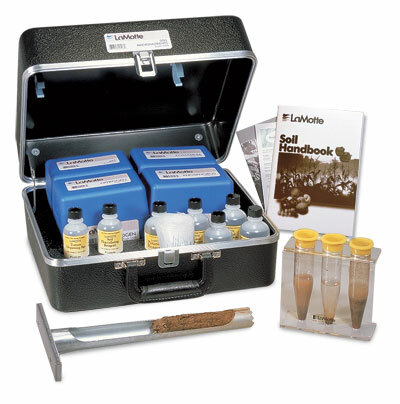 The Lamotte soil macronutrients kit provides an introduction to the study of soil properties and nutrients. Includes soil sampling tube, soil sample bags, the Soil Texture Unit, and individual test modules for four important soil test factors. 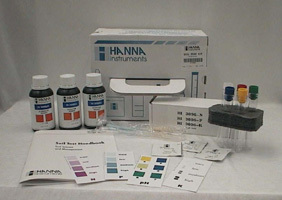 Tests for nitrate, phosphate, potassium and pH as well as soil texture. Each individual test module includes complete instructions and all the necessary apparatus and reagents to perform 50 tests. For detailed information please follow this product link to the Lamotte website.